Buxton Contemporary, situated within the campus of the Victorian College of the Arts, showcases the landmark philanthropic gift of the Michael Buxton collection to the University of Melbourne in 2014. 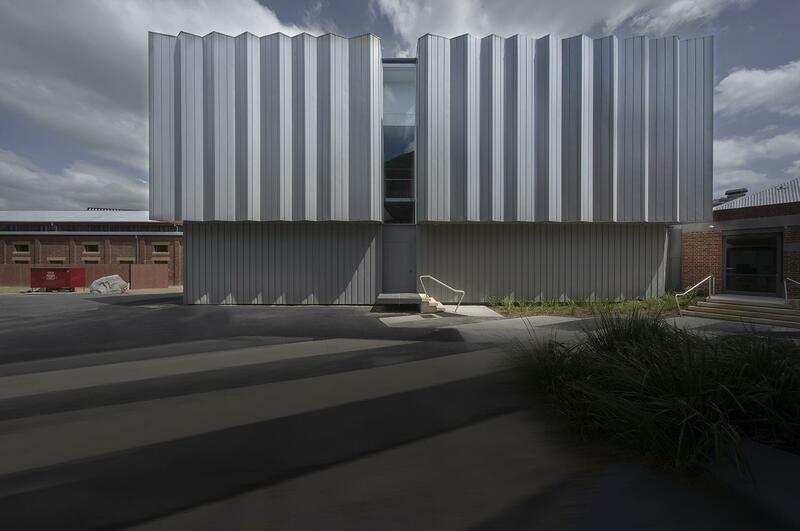 Along with funds to build a new museum, and provision for its operation, the gift was intended to provide ongoing public access to one of the most important private collections of contemporary art in Australia. Comprising more than 350 works by 59 artists and spanning three generations, the Michael Buxton collection was conceived under the guidance of a board of leading art curators and advisors alongside members of the Buxton family. Through a focus on representing individual artists practices in depth, the collection traces the development of key Australasian artists over time, while reflecting the broad scope of contemporary visual art since the 1980’s. Designed by leading Australian architects Fender Katsalidis and positioned in the heart of Melbourne’s arts precinct, Buxton Contemporary is a space for diverse educational and public programming, while continuing to foster and support contemporary art practice in our region.